Joyce Socao-Alumno is a staunch advocate for the Globalization of Healthcare, International Trade in Health Services and Medical Tourism. She spearheaded various initiatives in the development of the Philippines as a global healthcare destination including the Philippine Medical Tourism Program that was launched in 2006. Joyce founded Health Core in 2010 with the vision to make the country a premier healthcare and tourism destination by introducing international quality standards in the healthcare and hospitality industry evidenced by achieving globally-recognized Quality Accreditation seals. She is the Regional Representative of Temos certification based in Germany, Representative for NABH International which is ISQUA-accredited, and most recently by Swiss Approval International for ISO certifications in healthcare and hospitality services. In 2015, she was licensed as a National Assessor for the Accommodation Sector by the Philippines’ Department of Tourism. In addition, she authored the Philippine Medical Tourism Compendium and served as Contributing Editor to Philippine Daily Inquirer for the Philippine Health and Wellness Travel section. 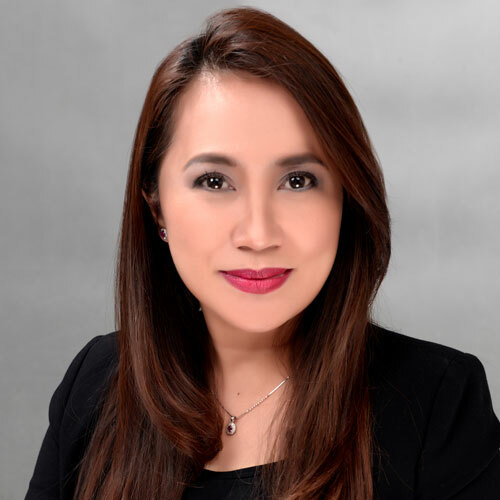 Her corporate stints include serving as Country Head for a UAE-based healthcare conglomerate, 12 years holding various positions in three foreign investment banks, President for an integrated marketing communications firm, and Marketing for a luxury resort in El Nido. Given her diverse experience, she is a well-sought after Speaker and Judge for several competitions locally and internationally.